Waiting for my delayed bus right now. So this morning my friend Tania and I went to the gym and worked out. ohYeah! Later on we met Emily and had lunch together. We couldn't make up our minds at first but then we decided to have some thai food! After that we went to American bakery and had some delicious dessert. 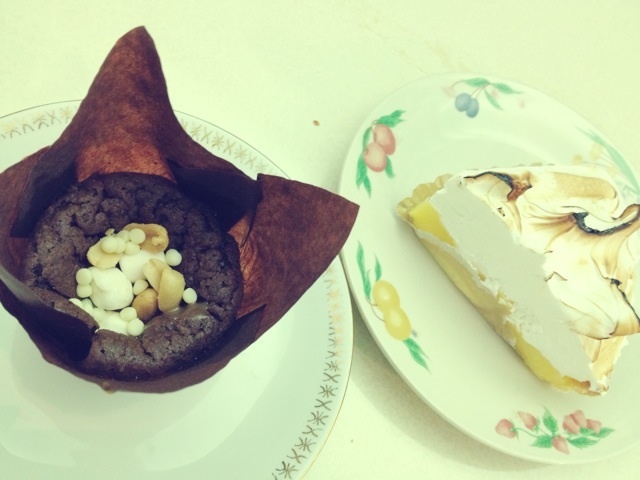 Rocky-road chocolate muffin and Meringue lemon pie. Yummy!